Terms and Conditions of Sale Minimum order and Pricing: Minimum order of fifty ($50) dollars is required. Order Acceptance: All orders are subject to approval and acceptance by Wholecell Phones and Accessories. All orders, products, goods remain property of Wholecell Phones and Accessories until payments are paid in full for any goods and services rendered. Product inspections and Invoicing: Inspections of all items goods sold by Wholecell Phones and Accessories are the sole responsibilities of the customer. Any errors or mistakes must be addressed within three (3) business days from the day of receiving. Wholecell Phones and Accessories is not responsible for missing items after the inspection period expires regardless of errors. – Customer must report any invoice errors, mistakes, and shortages to Wholecell Phones and Accessories within three business (3) days from the date of receiving. Warranties: All Wholecell Phones and Accessories products are covered by a fifteen (15) days limited warranty. Wholecell Phones and Accessories only accepts products due to manufacturer defects! Any products damaged through: misuse, abuse, improper installation, alternation, shipping, or repair will not be accepted. Refused Shipments/ Damages / Estimated Claim processing turn-around time: All claims for incorrect shipment must be received within seven (7) days from the date of invoice. If the recipient refuses, reject, reschedule, and failure to pick up the packages for any reasons, Wholecell Phones and Accessories will impose and entitled a 25% restocking fee unto but not limited to the invoice amount, freight charges and/or any fees incurred during the collection process. Shipping Charges: Wholecell Phones and Accessories will make every effort to ship all order within twenty-four (24) to forty-eight (48) hours upon confirmation of orders and payments Wholecell Phones and Accessories is not responsible for any order delays. 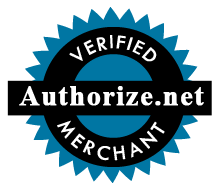 Payment Acceptance: Acceptable payments for COD (Cash on Delivery) accounts are: Cashier Check, Money Order, and Company Check. Net Term/ Post-dated accounts must submit a credit card authorization form as back-up payments. By providing the credit card authorization form you agree that Wholecell Phones and Accessories reserves all rights to charge any Past Due Payments and/ or Stop-Payment Checks unto the credit card on file. NSF/Stop Payment Checks: Wholecell Phones and Accessories for N.S.F “None Sufficient Funds” or “Stop-payment” checks may jeopardize customer’s privileges to pay on credit. A Twenty-five ($25) Dollars service charge will be applied to all N.S.F checks and “Stop Payment” checks. By under signing, I have read, understood, and comply with the above terms and conditions. If purchase is subject to resale, please complete and enclose and Blanket Resale Certificate with the Credit Application Form. Customers without this Resale Certificate will be charged with the appropriate sales tax as required by law. Note: PLEASE ATTACH A COPY OF YOUR BUSINESS LICENSE AND SALES TAX CERTIFICATE.